During the fall of 2013, I was commissioned by Paul Tindell to market the services and event information of non-profit organization Unite the Flame in Macon, Georgia both online and via physical media. The organization serves to empower the collective body of churches in Macon to focus on community projects specific to the city. It's goal is to grow and reach contiguous cities of Georgia, until support and funding allows the organization to extend its efforts across the nation. 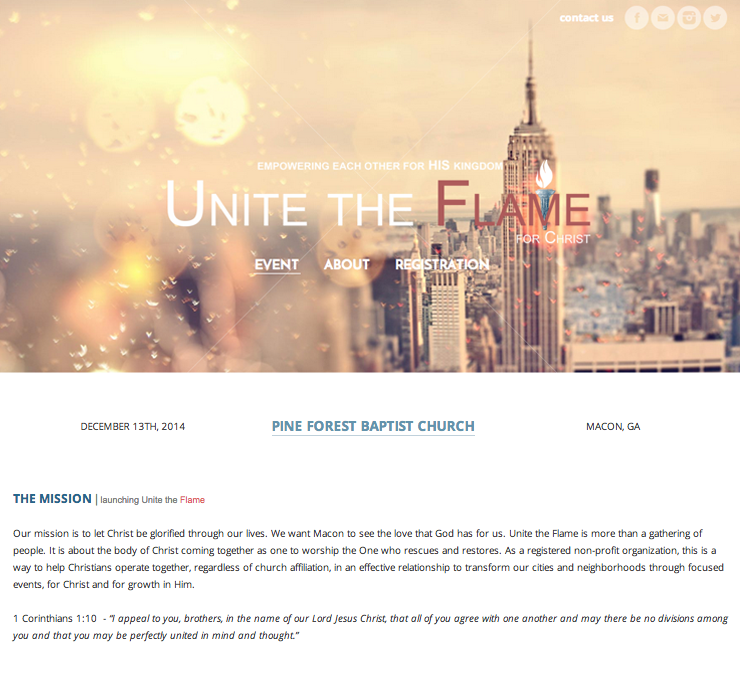 The event that is to be held on December 13, 2014 at Pine Forest Baptist Church, features a concert and worship service led by different speakers and performers. As the Director of Marketing, I serve to organize this event's information online, develop flyers, posters, billboards, and serve as the main photographer during the event. ﻿Headlining artists, Leeland and JJ Weeks Band, will be performing at the event to capture the energy identified with Unite the Flame to gain unity in Macon and facilitate positive change through donated funds and supporters. All donations given to the non-profit go toward production costs and the ability for UTF to seek Macon as its root for community based projects directly supported within the city. In the past, UTF has coordinated with the Macon City Police Department to collaborate on specific needs within the community and decide which projects to pursue, be it that volunteers from partnering churches can participate. The main session for the event is from 5:30 - 9pm and a late night concert is scheduled from 9:45 - 12am. 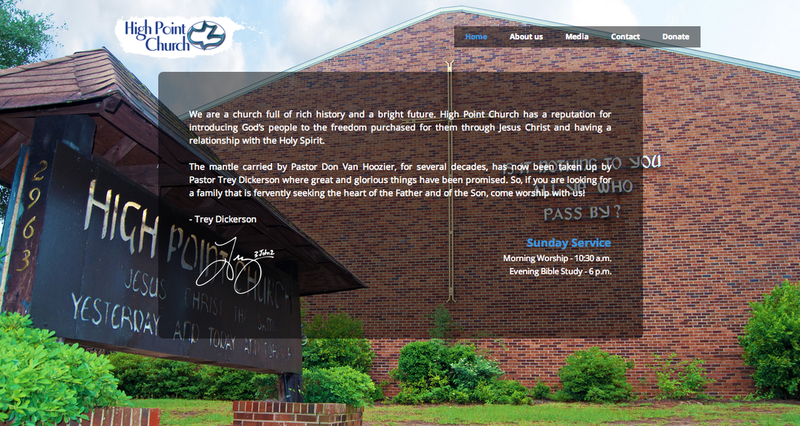 Pastor Trey Dickerson of High Point Baptist Church in Macon, Georgia commissioned me to develop the online presence of both his church and personal Living Logos Ministry. For HPBC, Trey wanted to secure a way for his attendees to access his weekly sermons online and have guests view the church's mission as an institution in the Macon community. The site regulates an understanding for who the body of people attending High Point are and what the church hopes to achieve, both in donation, and weekly service. 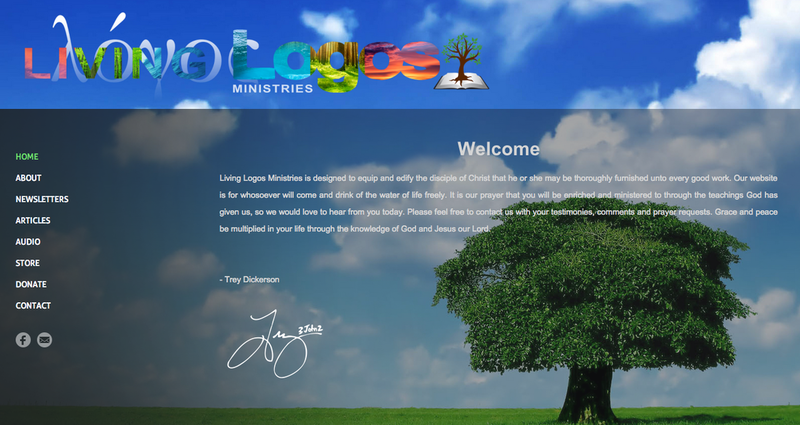 Living Logos Ministry is a co-partnership between Trey and his wife, Shannon, as they look to "proclaim the gospel of Christ and bring the good news of God's kingdom." Additionally, the website allows Trey to sell his published material online, call for donations, and have its visitors easily access his weekly updates through email subscriptions, all from the website. Both websites are designed for compatibility with Google Chrome, Firefox, iExplorer, Safari, and Opera for both PC and Mac. Phillip Harris contacted me in the summer of 2014 to provide him with an online presence for his published material. A writer from Lizella, Georgia, who currently lives in Haddock, Harris grew up in an agrarian environment that cherished oral tradition. Many of the symbols he uses in his writings comes directly from his life in Georgia. The website facilitates a way for his readers and fans to reach him, discover new published material, and purchase his work directly from the site. 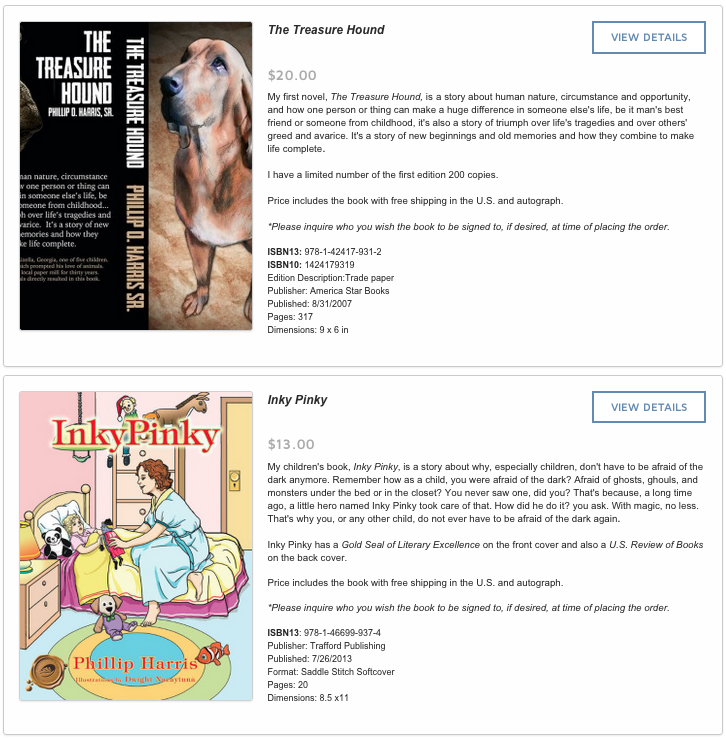 His novel, The Treasure Hound, and children's book, Inky Pinky, are two literary works he hopes to use as the start of a long book writing process he is currently working to achieve. Harris is selling both books online and is also looking to assist others with the publishing and printing processes. His collection of short stories, poems, and songs are also available for viewing on the site and act as his inspiration for future writings. 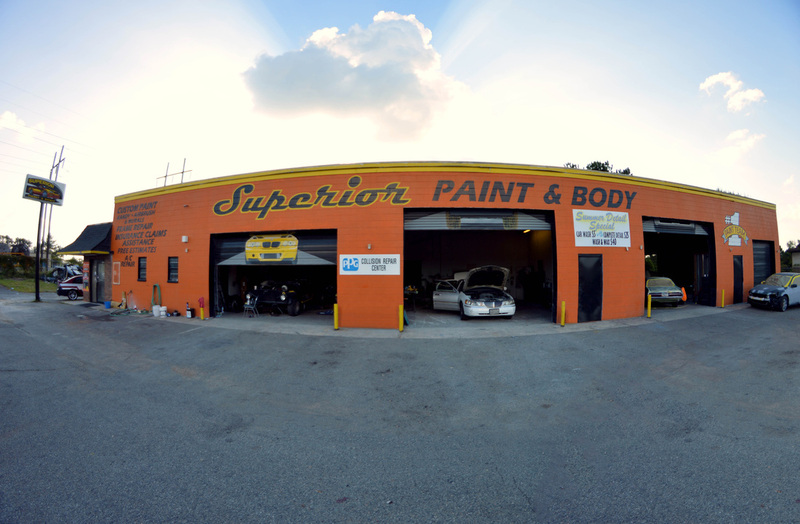 Starting August 13, 2013, I was contracted by the owner of Superior Paint and Body in Macon and Warner Robins to create their business website, mobile app, and market their services through social media. During this process, I became familiar with Superior’s business operations after successfully launching and maintaining its website and mobile app. Having experience with mechanics and “hands-on” studio courses, I expanded my support for the owner’s business and became skillful in fabricating, sculpting, sanding, and prepping vehicles for paint during my contract. Superior operated as a team, alternating between 5 to 7 employees at its Macon location, so I grew fond of working closely in groups. 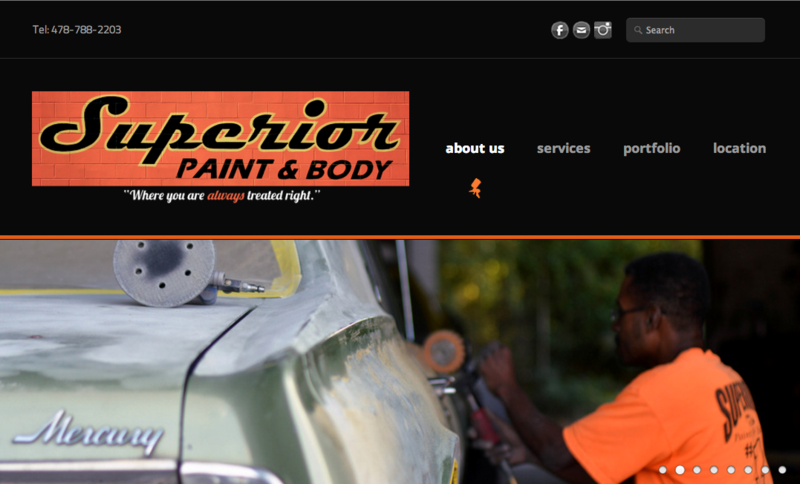 Superior's mobile app can be found at Google Play, Amazon, and the App Store. It is available for free to download. During fall semester of 2012, Dr. Renée J. Fontenot's Small Business Institute course began a team partnership assignment to develop a business plan in collaboration with a similar business of ﻿Baldwin County and contiguous counties. 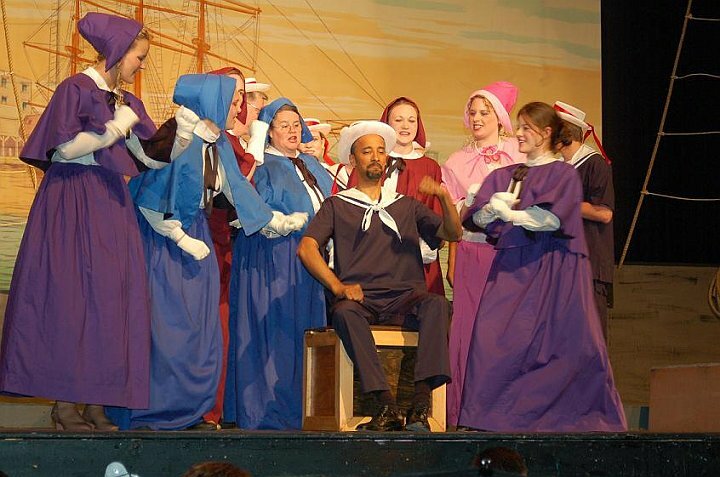 The business of choice was The Milledgeville Players, a performing arts organization, with director and business liaison John Geist to guide the development of proposed MPAC. Team partner, Whitney Deadwyler, and I coursed the direction of MPAC in the Milledgeville community, analyzing its competitors the new business would face and the advantages that MPAC would have against those competitors. These observations were documented and organized in a strategy and implementation summary. 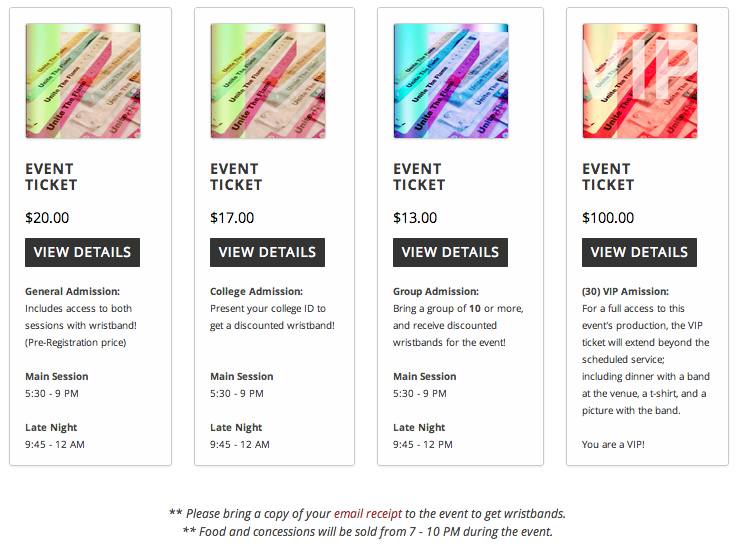 "We dedicate our efforts to give you the finest in arts and entertainment, bringing you a life and a noise unique to the Milledgeville area. By attracting music and art from scenes across the state of Georgia, we hope to animate the town's small culture with divergent atmospheres abroad and transform the liberal arts community. We welcome talent as a measure for appreciating style and ideas. Whether for music, art, comedy, or pure bliss, we serve the interests of Milledgeville through live action entertainment, so "come get your cheesecake and popsicles." MPAC would remain co-owned, as The Milledgeville Players recognizes MPAC as the management team. MPAC is a nonprofit organization, funded by national theatre grants, membership fees, donations, fundraising events and tax receipts for businesses. Unite the Milledgeville community by providing a performing arts center that offers live entertainment through theatre, music, and art. By the third operating year, have over $100,000 in ticket sales and community investment. Gain at least 30 participates in the first year of the membership program. During spring semester of 2012, Dr. Renée J. Fontenot's Marketing Advertising and Communication course introduced me to a team given the "special" task of representing the university's Special Collections archive of the GC Library and Instructional Technology Center (LITC). Kate Pope, (right), is the Archival Associate who is responsible for facilitating research, education, and outreach programming within Special Collections. Special Collections is responsible for the administration of the Flannery O'Connor collection, Paul D. Coverdell collection, local and regional historical collections, Georgia College archives, records management, rare books, and the Flannery O'Connor Room. The purposes of the project were to competitively represent and market a variety of clients, with two teams assigned to each client. Our marketing team was assigned to Special Collections. The GC archive targets nearly 8,000 people including GC students, teachers and Milledgeville residents. Through an Integrated Marketing Communications (IMC) plan, our team created a situation analysis or "personalized plan" for the department. The plan led to an increased awareness of Special Collections on campus and in the local community, encouraging a higher usage of services and primary resource donations. For this project, I was assigned to a team by Professor Ronald Smith to raise money for the Milledgeville Habitat for Humanity Restore, which is a nonprofit Christian ministry who partners with the community to build houses for families in need. Habitat acquires funds through donations and relies on volunteer effort, which desperately needs the help of others to provide for those with housing needs. 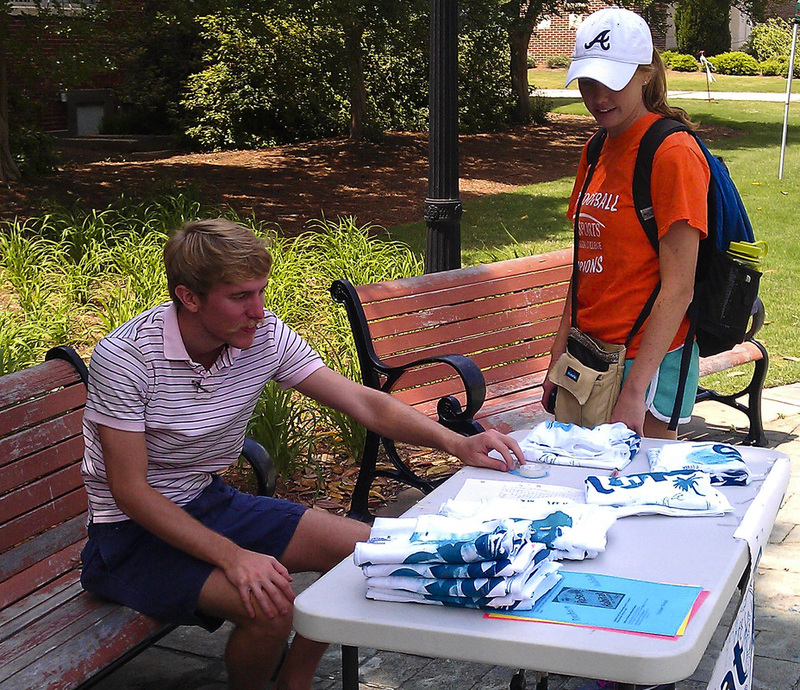 As part of the project, our team organized a plan to market to both Georgia College students and Milledgeville community members. We aimed for a target of 30 shirts sold to represent a majority of the fundraiser, but would end the sale at no more than 50 shirts, listing the available shirt sizes for sale online. I was responsible for creating the design and managing the shirt making process using the GC printmaking facility. Having experience with printmaking equipment, I fabricated the shirts using a silk screen process to craft each shirt. 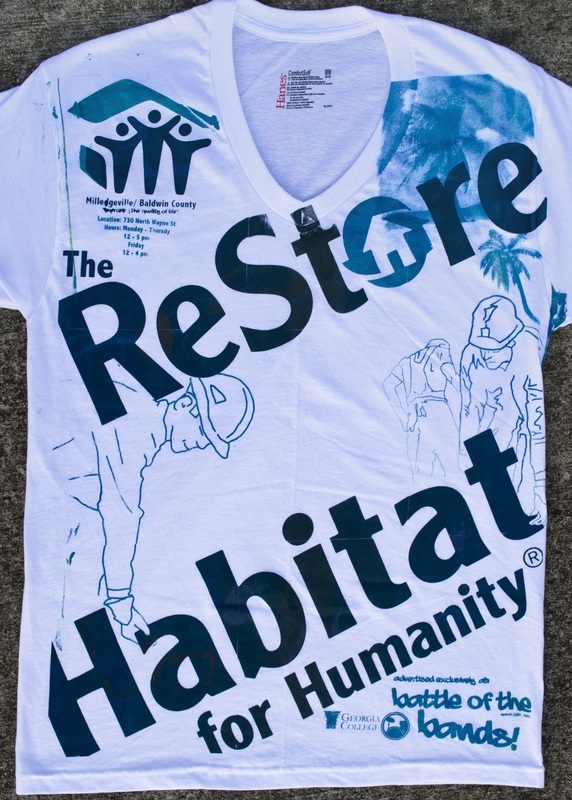 Every shirt was unique, and cultivated the purpose of continuity in the community, as the shirts would most likely be worn on campus or in the city to advertise the restore. 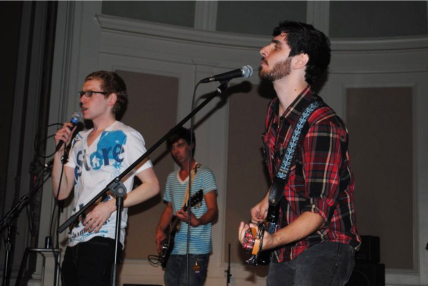 Campus event Battle of the Bands®, coordinated through Student Government Association (SGA), extended the group's effort to reach Milledgeville residents. Attendees were able to see band members wearing the shirt during the event, and announcements were made to direct attention to the Habitat fundraising table explaining the cause and displaying the shirts for sale. Donate a target of $300.00 to the restore through the sale of t-shirts, at $10.00 per shirt, and donations within the semester that advertise the organization. Also, raise awareness for the organization by hand delivering at least 200 flyers with information about the restore, describing its need for volunteer continuity, and the t-shirt fundraiser on campus and to local businesses. Students, Milledgeville residents, and local businesses. The efforts of the project were successful with 25 shirts sold, 27.00 dollars of private donations, and attention brought to the Habitat for Humanity Restore in Milledgeville, all made possible by coordinating the elements of our marketing strategy in the community. Our findings were delivered to the directors of Habitat of Milledgeville, having explained our marketing process and results.